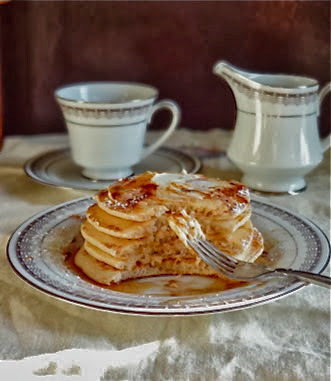 Instead of butter spread pancakes with mascarpone cheese. quick whisk maple syrup and coffee extract until combine. 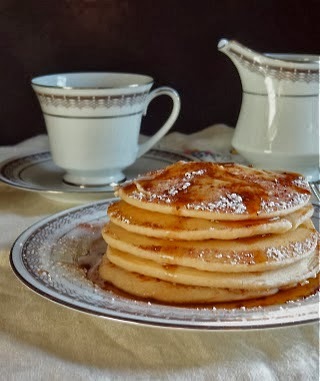 pour into pancakes,and sprinkle with powdered sugar. Very creative use of the ready made product for the top notch and wonderful pancake. You are the master of all things sweet! :) I wish I could bake. 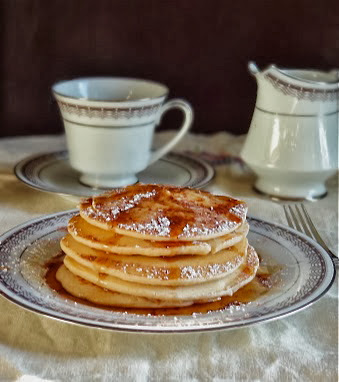 What a great pancake recipe! They look so soft and I bet they are very delicious. i guess nothning better than instant pancake for quicky morning supper! really innovative recipe!sounds delicious and soft!